for Our Deepest Thirst "
Preaching This Week at WorkingPreacher.org, Luther Seminary, 2017. 2011. 2008. Preaching Helps (Lent 3): United Methodist Church General Board of Discipleship. "Finding Refreshment," Kathryn Matthews, Sermon Seeds, SAMUEL. 2017. The Lectionary Lab, Lent 3A, the Rev'ds Dr. John Fairless and Delmer Chilton (aka "Two Bubbas and a Bible"), 2014. Lectionary Lab Live podcast. Evangelectionary, Charlene J. Smith, Evangelism Connections, 2014. Comments (commentary) and Clippings (technical notes for in-depth study), Lent 3, Chris Haslam, Anglican Diocese of Montreal. Preaching Helps (Lent 3). Rev. Dawn Chesser, United Methodist Church General Board of Discipleship, 2014. Jesus Now, Lent 3. Lectionary, study and worship resources from Faith Futures Jesus Then & Now. Rumors, February 24, 2008, Ralph Milton, "Sermon helps for preachers with a sense of humor." Living by the Word, David R. Lyle, The Christian Century, 2017. "Desert Transformations," Jana Bennett, Ekklesia Project, 2017. Connections, Next Sunday Resources, 2017. "Waiting at the Well," Andrew King, 2017. Tuesday Lectionary Leanings, Let's Have A Drink Edition, RevGalBlogPals lectionary discussion, 2014. "Leaving It All Behind," David Lose, Dear Working Preacher, 2014. 2011. "Why You Ought to Leave the Church," Matthew L. Skinner, ON Scripture, Odyssey Networks, 2014. Video: "Tent City." "The Continual Need for a Sign," John C. Holbert, Opening the Old Testament, 2014.2011. "Deep Well, No Bucket?" Alyce M McKenzie, Edgy Exegesis, 2014. 2011. "If You Hear His Voice," Dan Clendenin, Journey with Jesus, 2014. 2011. 2008. 2005. "Harvest Time," Bob Cornwalll, Ponderings on a Faith Journey, 2014. "The Inescapable God," Christopher Burkett, PreacherRhetorica, 2014. "Splash and Dash," Thomas Beam, 2014. "Is the Lord with us or not?" Peter Lockhart, 2014. "The Woman at The Well," Linda Fabian Pepe, Theological Stew, 2014. "A Story Worth Telling: Jesus and the Samaritan Woman at the Well," Janet H. Hunt, Dancing with the Word, 2014. "The Well of Love," Suzanne Guthrie, At the Edge of the Enclosure, 2014. "Thirst," Sharron R. Blezard, Stewardship of Life, 2014. 2011. Liberal Lectionary Reflections, Chris Ayers, Bryan Jackson, Mary Lautensleger, 2014. "Meeting at the Well," Andrew King, A Poetic Kind of Place," 2014. "He Told Me Everything I Have Ever Done!" Lisa Bellan-Boyer, City Called Heaven, 2011. "Knock-a-door-run-away," Neil Chappell, aweirdthing, 2011. Engaging Jesus, Doug Lee, The Ekklesia Project, 2011. "Out of the Shadows," John van de Laar, Sacredise, 2011. Dylan's Lectionary Blog, Lent 3. Biblical Scholar Sarah Dylan Breuer looks at readings for the coming Sunday in the lectionary of the Episcopal Church, 2005. "Jesus Hustles an Invitation to the City," Mark Harris, Proclaiming Gospel Justice: Reflections on the Scriptures and Progressive Spirituality, The Witness, 2005. "We Are All Samaritans," Katie Sherrod, Proclaiming Gospel Justice: Reflections on the Scriptures and Progressive Spirituality, The Witness, 2005. Environmental/Earth-Centered Reflections from the Episcopal Diocese of Minnesota's Environmental Stewardship Commission. Reflection focusses on Exodus text within the Lenten lectionary context. "Are We There Yet?" Felipe N. Martinez, The Christian Century, 2005. "Spiritual Snobs," Scott McKnight, The Christian Century, 2005. "Unlikely Messenger," Patricia Farris, The Christian Century, 2002. Religion Online. "Strangers in the Night," Richard Lischer, 1999. "The Justification of God," commentary by Ronald Goetz from The Christian Century, 1990. "The Witness at the Well," commentary by Fred B. Craddock from The Christian Century, 1990. "High-Water Mark," Walter Brueggemann, "Trusting God's Inexplicable Goodness," 2011. "Living Water," Laurel A. Dykstra, "A Season of Repentance," Living the Word, Sojourners Online, 2008. "This Can't Be the Christ…Can It?" by Will Willimon. A Sermon for Every Sunday: video sermons from America's best preachers. "It Was About Noon," Brian Coulter, Day1, 2017. "Agents of Transformation," Sil Galvan, 2017. "Hope that Brings Us Here," Frederick Buechner Sermon Illustrations. "Dropping the Mask We Hide Behind," the Rev. Dr. Wiley Stephens, 2014. "The Big Surprise," the Rev. Charles Hoffacker, Sermons that Work, Episcopal Digital Network, 2014. 3 Cuaresma (A) – 2014 POR EL RVDO. GONZALO ANTONIO RENDÓN-OSPINA, Sermones que Iluminan. Ministry Matters, March 23, 2014. "'Honey, You Better Believe He Is the Messiah!'" the Very Rev. Samuel G. Candler, Day 1, 2008. "The Nasty Woman Who Persisted: The Samaritan Woman of John 4," Jaime Clark-Soles, ON Scripture, 2017. "Finding Refreshment," Weekly Seeds, UCC, 2017. Bible Study, Lent 3, 2014, Steven King, Sermons that Work, Episcopal Digital Network. Estudio de la Biblia. 3 Cuaresma (A) por Steven King, Sermones que Iluminan, 2014. 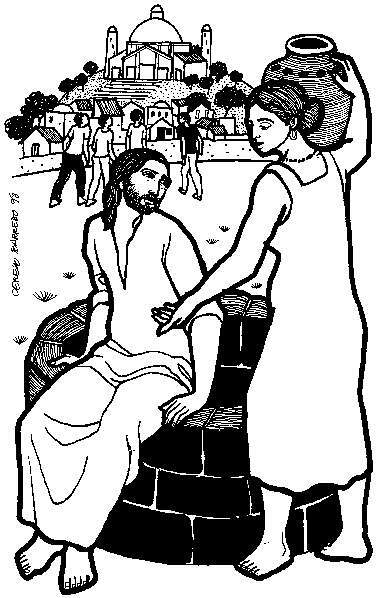 "She said, 'come and see,'" Lent 3A, Lesson Plans that Work, Episcopal Digital Network, 2014. Worship Planning Helps (Lent 3): Worship & Preaching Notes, Hymn Suggestions and Worship Resources from the United Methodist Church General Board of Discipleship. Mustard Seeds, "Thirsting for God/What's the Point of Worship?" Lent 3, 2014. A lectionary-based ideas resource for leaders of contemporary worship, Ann Scull, Gippsland, Australia. LCA Worship Planning Page, Lent 3, 2014. "Everything lay-readers need to prepare worship." Worship Resources, Lent 3A, 2011, John van de Laar, Sacredise. Liturgy for the Celebration of Life, Lent 3A, 2011. Liturgies from a Progressive/Post-Liberal Theology, Revd Rex A.E. Hunt, Uniting Church in Australia. Lectionary Liturgies, Lent 3A, Thom M. Shuman, Presbyterian Church (U.S.A.), 2014. Liturgical Planning and Music Suggestions, Lent 3, CanticaNova Publications. Laughing Bird Liturgical Resources, Lent 3, by Nathan Nettleton, South Yarra Community Baptist Church, Melbourne, Australia. Prayers, blessings, Eucharistic prefaces and scripture paraphrases. Prayers of the People, Lent 3, General intercessions for Sundays and Feasts, by Ormonde Plater, Archdeacon of the [Anglican/Episcopal] Diocese of Louisiana. Creative Closing, Lent 3, George Hartwell, at Richard J. Fairchild's Sermon & Lectionary Resources. 21st Century Worship Resources, Lent 3, UMCDiscipleship.org. Offertory Prayers, Lent 3, UMCDiscipleship.org. Lenten Prayers (based on gospel texts for each Sunday in Lent), Chris Heckert, 2011. 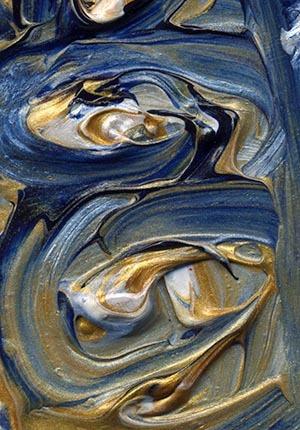 Astute and understanding God... -- Intercession for Lent 3 based on John 4:5-42 by Janice Scott from SermonSuite. Lent 3 at Cerezo Barredo's weekly gospel illustration. Follows Latin American Roman Catholic gospel reading, though most gospels texts/themes are found in the index. Liberation emphasis. Clip Art, Lent 3, Fr. Richard Lonsdale, Resources for Catholic Educators. The Painted Prayerbook, A Well-Blessed Woman, Jan Richardson, 2011. Use of images. In Bishop T.D. Jake's Woman, Thou Art Loosed Michelle Jordan, who murdered her mother's lover is a god stand-in for the Samaritan woman, with Bishop Jakes series of visits to her in prison where he seeks to convince her that God loves her still. Ed McNulty, Visual Parables. "Bottled Water," video, John Stevens, Dollar Store Children's Sermons, 2014. Pulpit Fiction, plus podcast. Reflections of lectionary text, pop culture, current events, etc. Robb Mc Coy and Eric Fistler, 2014. Video: Once Justice Rolls, then the Water Will Flow. Hymns of the Spirit Three, Lent 3A, Richard E. Hurst, Universalist National Memorial Church. Psalm Settings by Dale A. Schoening, Metrical Psalms, Psalm 95 set to He Leadeth Me (88 88 D). Hymn and Song Suggestions, Lent 3, 2014, annotated suggestions from Natalie Sims, Singing from the Lectionary. Lectionary Hymns, Lent 3, UMCDiscipleship.org. Shepherd Sounds, Lent 3, Background information for hymns and choral music following the lectionary from the Episcopal Church of the Good Shepherd, Austin, Texas, by Eric Mellenbruch and David Zersen. Together to Celebrate, March 23, 2014, David MacGregor, Uniting Church in Australia. Contemporary Christian Music resources. Lectionary Puzzles, Lent 3. Word search puzzles in RTF or plain text, by Reg McMillan, St.Stephen's Presbyterian Church, Peterborough, Ontario. "Living Love (Almsgiving)," Fran Woodruff, On The Chancel Steps, 2014. Children's Sermons, Lent 3A, Faith Formation Journeys, 2011. Story for Children's Worship and Family Activity, Lent 3, at word-sunday.com: A Catholic Resource for the Lectionary by Larry Broding.